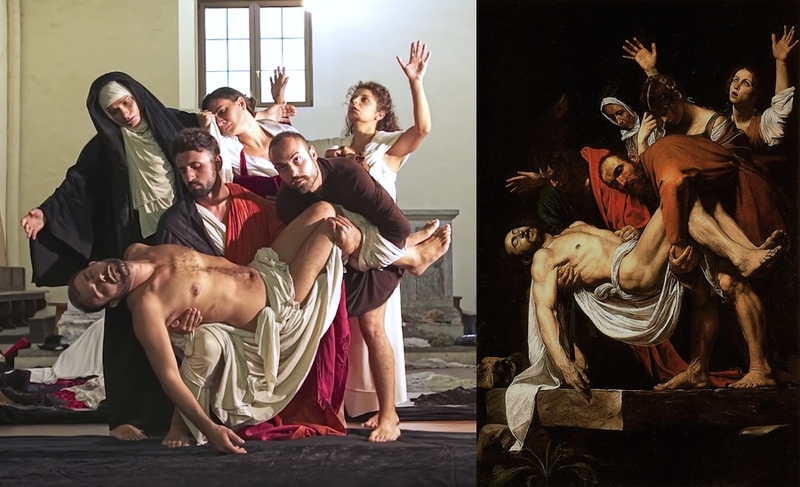 Actors from the Italian theater company Ludovica Rambelli Teatro recreate paintings by Italian painter Michelangelo Merisi da Caravaggio, or, more accurately, they’re recreating how Caravaggio created scenes to paint with live models. The performance is called La conversione di un cavallo, 23 Tableaux Vivants dalle opere di Caravaggio, or Tableaux Vivants. It’s set to Lux aeterna, the final section of Wolfgang Amedeus Mozart’s Requiem.